You are here: Home » News » Announcing our gorgeous new Vegan Menu! 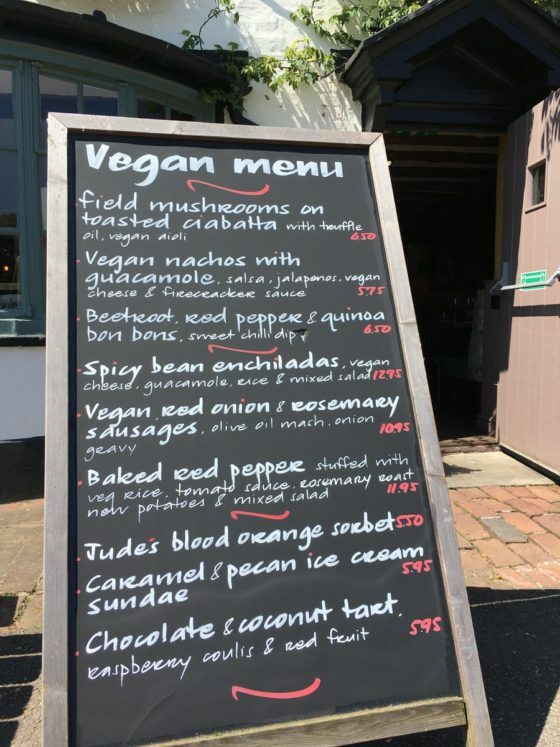 Announcing our gorgeous new Vegan Menu! We are thrilled to say that we have launched our Vegan Menu in response to growing demand. The new menu offers a range of vegan friendly dishes and desserts including beetroot, red pepper & quinoa bon bons and delicious Chocolate & Coconut Tart as well as our pub favourites of sausage & mash and nachos.